The CEO and Founder of OmiseGo, Jun Hasegawa, has made a burgeoning forecast for Ethereum for the next two years and has predicted a stupendous growth in the use of Ethereum’s technology which will totally change the face of the future. The year 2017 had turned out to be of profound importance in the development of the crypto market. Initial Coin Offerings and Token Sales had generated billions of dollars per quarter and could manage to exceed the targets set aside by companies who were investing in the cryptocurrency and blockchain businesses of accredited and venture capital firms. Ethereum’s price topped the $ 1161.35mark for the first time last year, showing how quickly the price can skyrocket when a huge amount of capital is being pumped into the market. Just a few months ago, Vitalik Buterin construed that Ethereum might soon be able to process up to one million transactions per minute. 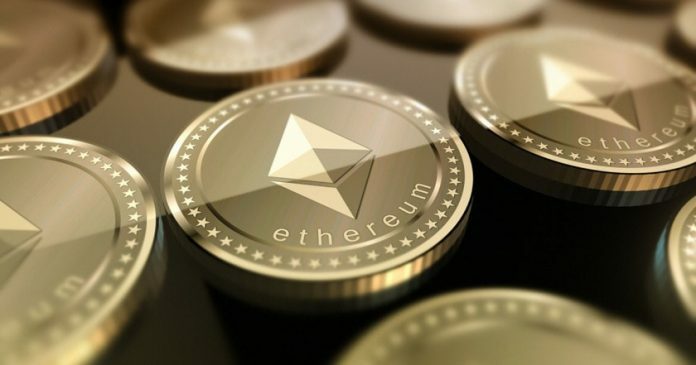 However, owing to the rapid price increase, the volume of the crypto market dropped as a whole,e and it had a similar effect on the price of Ethereum. Jun Hasegawa points out that the current fix is healthy as it will give room to the developers to build products and bring scaling solutions which are fully equipped for the next big rally. According to Hasegawa, 2018 is a very successful year for cryptocurrencies, as an excellent progress has been reported in the development of sharding, casper, plasma and interchain protocols, and an enormous target of 1 million TPS could actually be achieved. From 2019 to 2020, there will be a “massive” progress in scaling solutions. In addition, governments will begin to use the technology in their day to day operations. Earlier this month, Coinbase CTO, Balaji Srinivasan, at the TechCrunch session in Zug, stated that the current correction empowers the developers with the time to keep up with the rapid pace of development and advance technology for more demanding tasks. The roller coaster ride of the crypto market is currently continuing in a robust manner, with a renewed sudden slump of Ethereum and the crypto market. At the time of writing, the price per ETH stood at $ 420.83and thus recorded a price decline of – 5.80 percent within the last 24 hours.